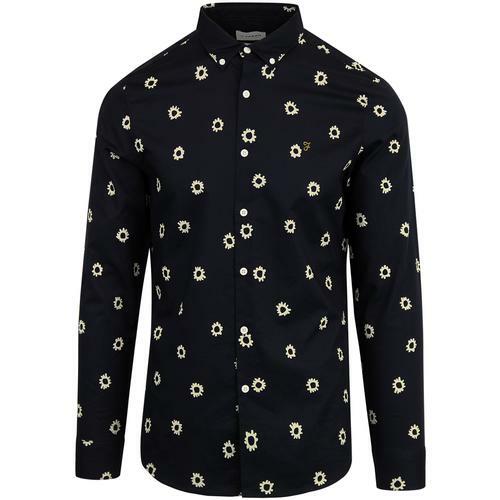 Guide London Men's Mod smudgy paisley shirt with a sublime Psychedelic 1960s colour palette that incorporates a flash of mustard to set the piece apart. 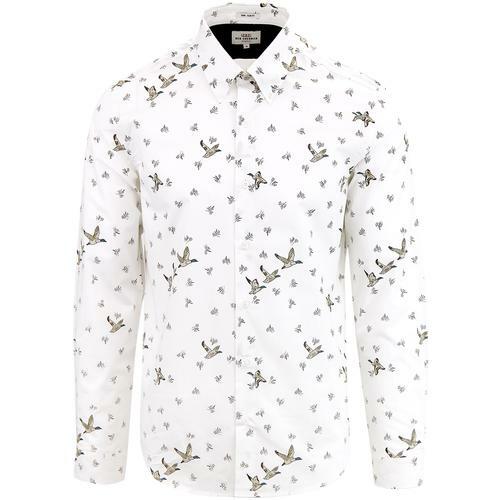 Big smudgy painted paisley patterns are pitched with a stylish tailored Mod collar and Retro textured buttons. The button placement on the placket is a trademark of Guide London's shirts and further enhances the refined Retro look. Bold blue and mustard contrast panels add a flourish to the interior. 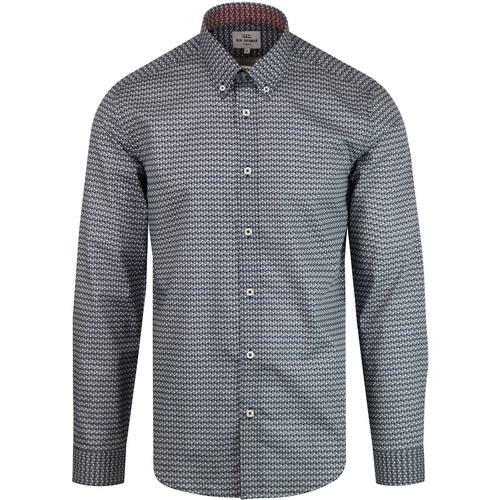 The Guide London smudgy paisley shirt is a Retro Clothing masterpiece. - Guide London 60s mod smudgy floral paisley shirt. - Bold paisley paisley motifs with smudgy details in blue on white ground. - Retro mustard edging adds a colourful twist. 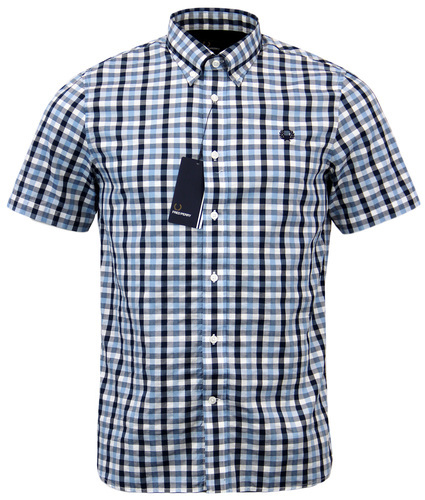 - Contrast block colour inner trims. 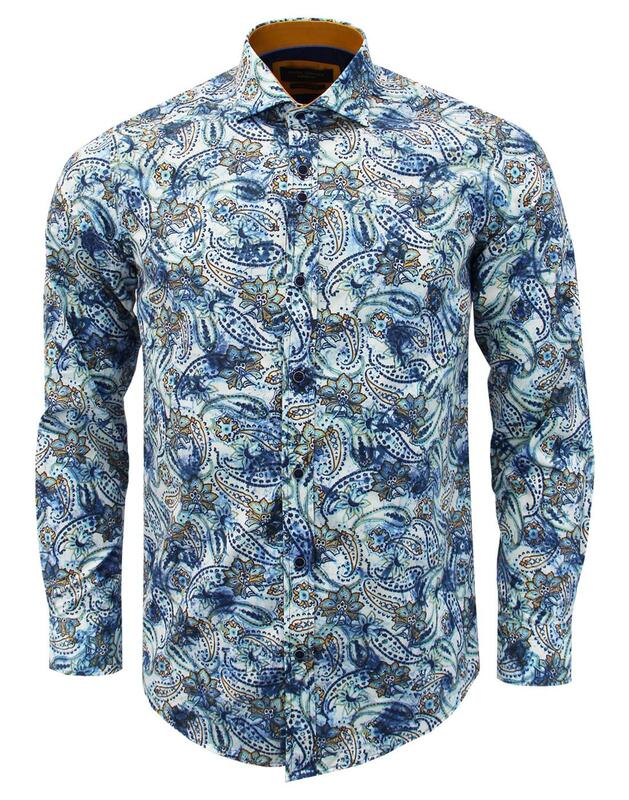 - SKU: LS74334 Smudgy Paisley Floral Shirt.